Thanks to funding from the Nat West Skills and Opportunities Fund, Arts Council England and Leicester, Leicestershire & Rutland Community Foundation we have been able to set up a creative enterprise programme to support 50 young creatives this year with taking the next steps in selling and marketing their creative work. This is a brand new project for soft touch, it allows us provide a progression route for a young people, by providing support and guidance in business skills. We will help young people produce creative work, organise selling and showcase events, making and putting creative work on websites, and mixing with business advisors and the public through advice sessions and events. This will give participants a broad range of life, communication, organisation and negotiation skills along with experience of working in a team and producing work to deadlines. The programme is not about them having careers in the arts per se, but developing transferable life and employability skills and increasing their self-belief so they are better able to navigate the world through creative thinking and problem solving and gain the confidence to be independent healthy adults and move towards getting a job. 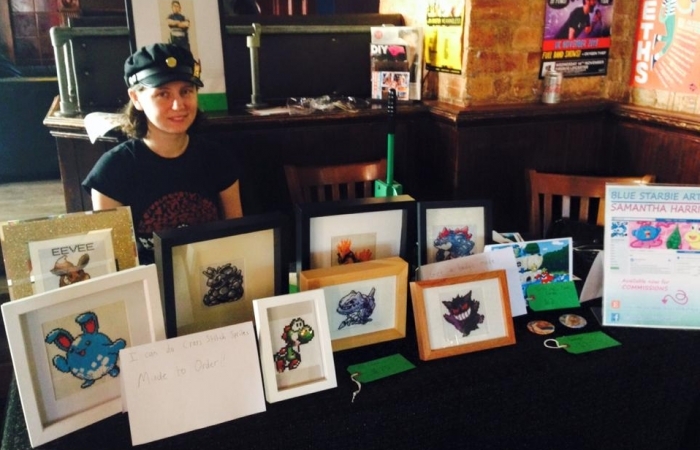 Help and advise young people on how to market and sell their work through Etsy, Shopify, the Soft Touch website, or at local events, festivals/markets. Offer work experience placements at local creative agencies and other businesses. Commission artwork for your office or business to give young people experience of showing work in different places. Support the programme by sponsoring or fundraising to allow us to continue this valuable work.